Well if you want your things to be perfect and you are one of those people who buy their stuff after an exceptional research then you might have put a great effort into finding the best flashlight for you, and now you have it. But enough about the flashlight you have already bought, you have got it after your full consideration of its pros and cons. Today we will talk about the batteries. Batteries are as important as your flashlight and with the right flashlight, it is equally essential for you to the get the right batteries. There are a lot of different types of batteries out there, and to choose the one, you will have to see which one is most compatible and suitable for your flashlight. Here in this article, we will tell you about different batteries so it will be easy for you to choose one for your flashlight. Well among all the batteries you must be familiar with this one because everybody knows this. The battery has a coopered top, and it is very easily available and displayed prominently in grocery stores and as well as at pharmacies. The Alkaline batteries come in different sizes from AAA size to D size. The best part about this battery is that it is readily available and is cheap as well. The con is that it lasts for a short time and isn’t rechargeable. So if you have a flashlight and you are using alkaline batteries when it drains out the new one can be found at any nearer shop or gas station. Well, lithium batteries are also old batteries, and they have been around for awhile now. They are of course not older than alkaline batteries but still they came with alkaline batteries and are quite popular. The lithium battery is much better than the alkaline battery it is much stronger, last more than it has more resistant to heat and is lighter as well. The con about this battery here is that it is twice the cost of an alkaline battery but the right things are that it might not have been readily available in the market ten years ago but today it can be found easily. So if you are using a high-end bright flashlight, then you might want to go with this one. Well, the next batteries that could be used by you for your flashlight are rechargeable batteries. Rechargeable batteries come in two types integrated and nonintegrated. Integrated batteries are attached to your flashlight and can’t be removed while non-integrated are not attached and can be removed. The main advantage of rechargeable batteries is that you do not have to spend your money on buying new batteries as you can recharge the same one. So if you have a flashlight which has an available power source all the time you can go with these batteries. Rechargeable Lithium-Ion batteries are one step ahead of simple rechargeable batteries, and they are more long lasting, have more output capacity and are compact, robust and light. They cost more than the other mentioned batteries, but when you see its advantages, you think that its cost is worth it. The most common Lithium-ion battery which is best used for flashlights is 18650 Li-ion batteries. 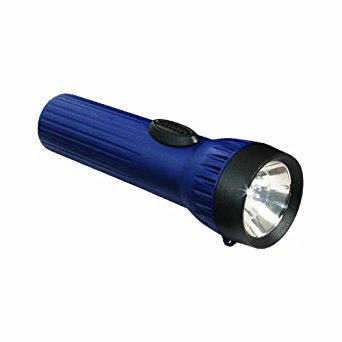 So if you want the rechargeable extended the lasting battery for your new flashlight, then you can pick any best 18650 battery. These are the batteries available in the market, and you can pick any of these depending on your flashlight and the instructions we have given in this article.